Why would we need to debatch an XML message in an orchestration with a pipeline instead of using straight the receive pipeline on the port ? 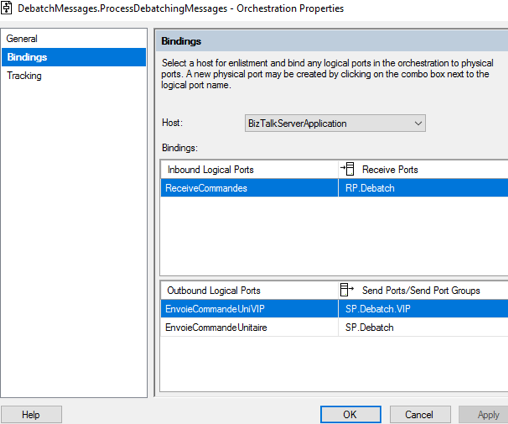 Require processing the debatched messages with different mappings. 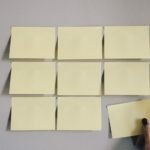 In this article, we will illustrate the method of debatching in an orchestration with a user-case for the second scenario. 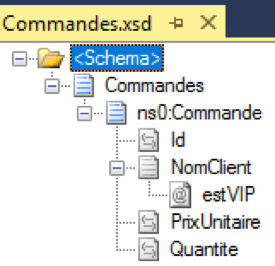 Following is the schema representing the orders list that contains the unit order with the property Envelope to yes. In the unit order, the estVIP property is defined as a Distinguished Field so that its value could be easily read in the orchestration. We will limit the case to a very simple treatment : apply a different map according to value of the “estVIP” property. In the script, a sold (field Montant) of 0.9 is returned if the field estVIP is true (here “1” represent true). A comment for the order VIP is added in the mapping as well. 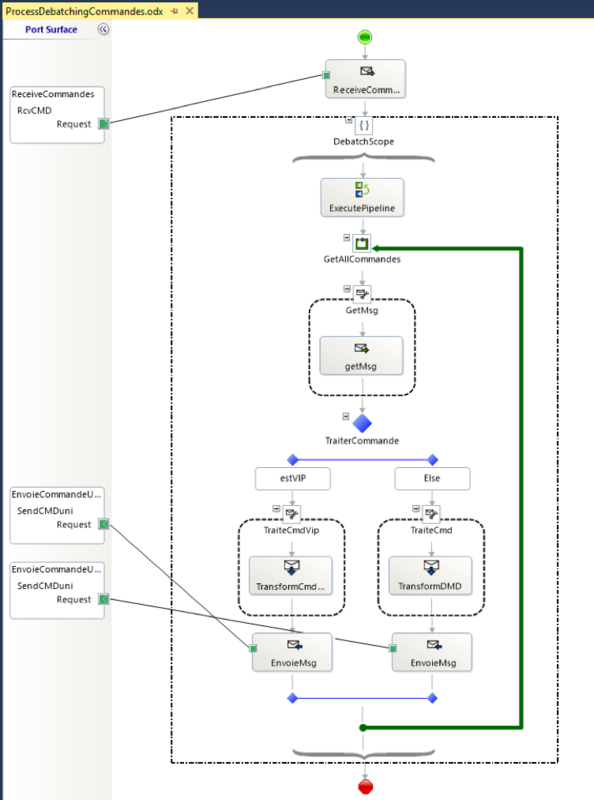 Hereunder is the orchestration that allows to debatch orders with a pipeline and process them. Please note that the references Microsoft.XLANGs.Pipeline and Microsoft.BizTalk.Pipeline are required for the Visual Studio project. In the beginning of the orchestration, a ReceivePort which receive orders is in place. The Message Type is System.Xml.XmlDocument that permits to position in a XML document. The Debatch scope is defined with an isolation level set to Serializable and transaction type to Atomic value. Thereafter, GetMsgDebatch variable of type Microsoft.XLANGs.Pipeline.ReceivePipelineOutputMessages is created. 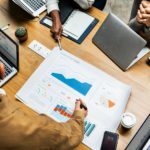 ExecuteReceivePipeline() method of the XLANGPipelineManager class consumes either a single message or an interchange and yields zero or more messages. With the use of MoveNext(), we can do a looping through the collection. 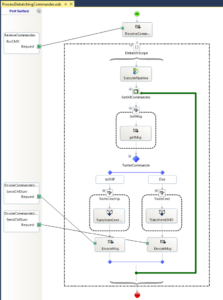 The method MoveNext() of the class ReceivePipelineOutputMessages returns a Boolean. If the returned value is false, we quit the loop. Not that, the msgSorti variable is of Type Commande. 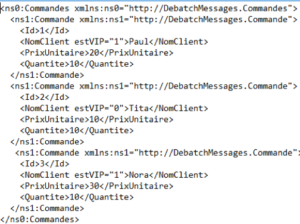 if the order is coming from a VIP order, the map Cmd_To_CmdVIP is applied. If not, the other map is applied. Now, let deploy the Visual Studio project into BizTalk server and create a physical ReceivePort and two physicals SendPort. 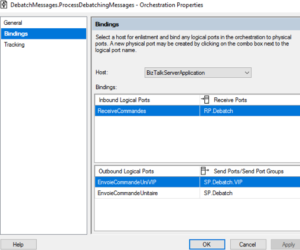 We need to bind the ports to the logical ports of the orchestration, as shown in the following picture. 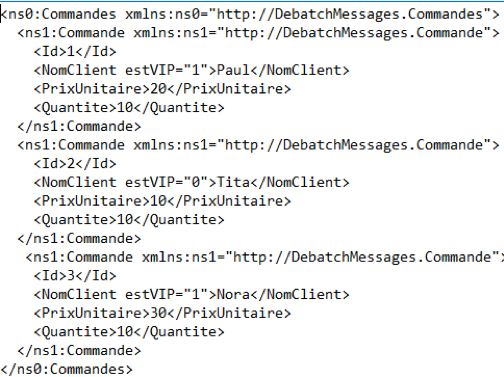 Then, we depose a message with three orders (Commande), in which contains two VIP orders, in the receive folder.